The CSM student within him is likely pinching himself right now, then, given the two (plus Andreas Kronthaler) have joined forces on a v special collaborative collection for Burberry – which launches today. If you didn’t immediately stop reading at the end of the last sentence and head directly to Burberry to try to get your hands on it, let us fill you in. Described as a union marrying punk and heritage, rebellion and tradition, and past and future, the limited edition collection is made up of classic styles taken directly from the Westwood archive, and reimagined in Burberry’s iconic check. On the line-up is a wool mini-kilt as seen as part of the the designer’s AW94 Anglomania show, and a silk shirt and matching tie, which was originally worn by Naomi Campbell. 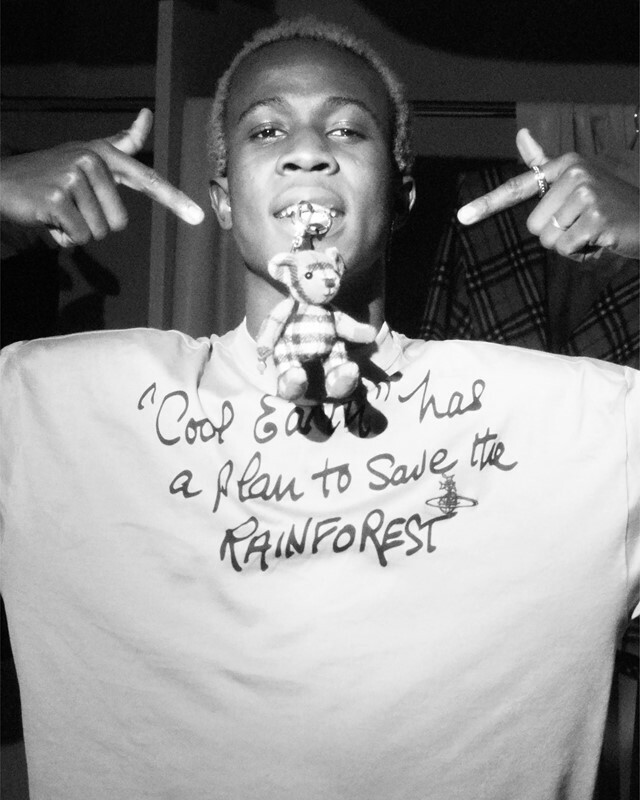 At the heart of the collection is a pretty special t-shirt, which features a handwritten message from Westwood herself: ‘Cool Earth has a plan to save the rainforest’. You didn’t think there wasn’t going to be a worthy cause behind all this, did you? Continuing in her mission to bring much-needed attention to climate change and environmental issues, the collaboration will support Cool Earth – a non-profit organisation working alongside rainforest communities to halt deforestation. The campaign was shot by legendary photographer David Sims, and features Kate Moss, Sistren, Ladyfag, and Viv and Andreas themselves – take a look at that gallery above.